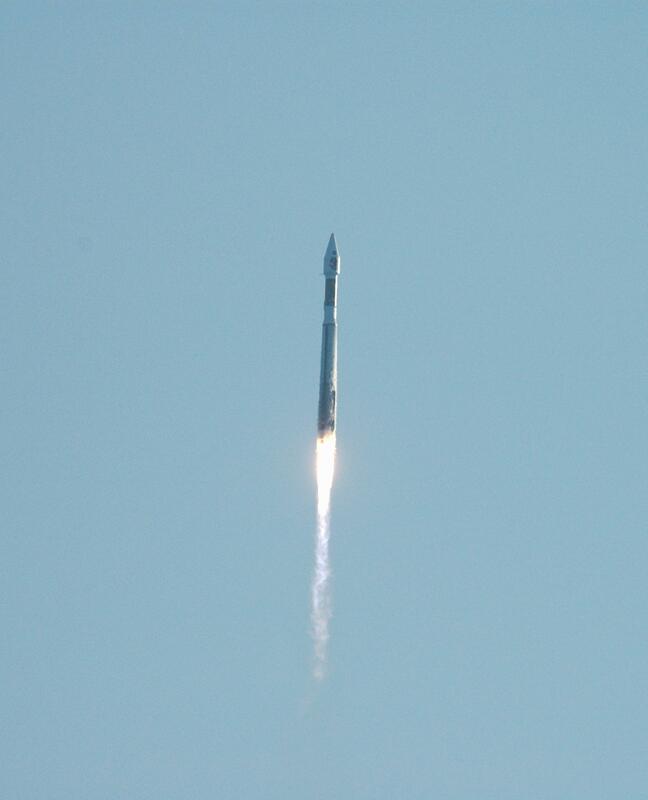 NASA's Mars Reconnaissance Orbiter (MRO) launches at 7:43 a.m. EDT atop a Lockheed Martin Atlas V rocket from Launch Complex 41 at Cape Canaveral Air Force Station in Florida on Aug. 12. All systems performed nominally for NASA's first Atlas V launch. The spacecraft will arrive at Mars in March 2006. Once in orbit around Mars, various instruments on the MRO will convey detailed observations of the Martian surface, subsurface and atmosphere. Researchers will use the data to study the history and distribution of Martian water. Learning more about what has happened to the water will focus searches for possible past or present Martian life. Observations by the orbiter will also support future Mars missions by examining potential landing sites and providing a communications relay between the Martian surface and Earth.